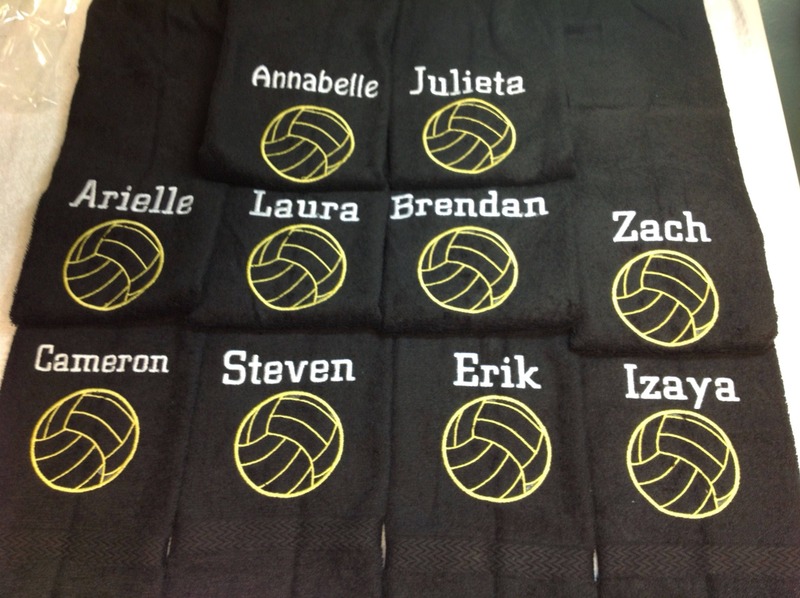 Personalized volleyball towel, great seller, volleyball team towels, volleyball gift, pin towels, ball, name, team and number included. 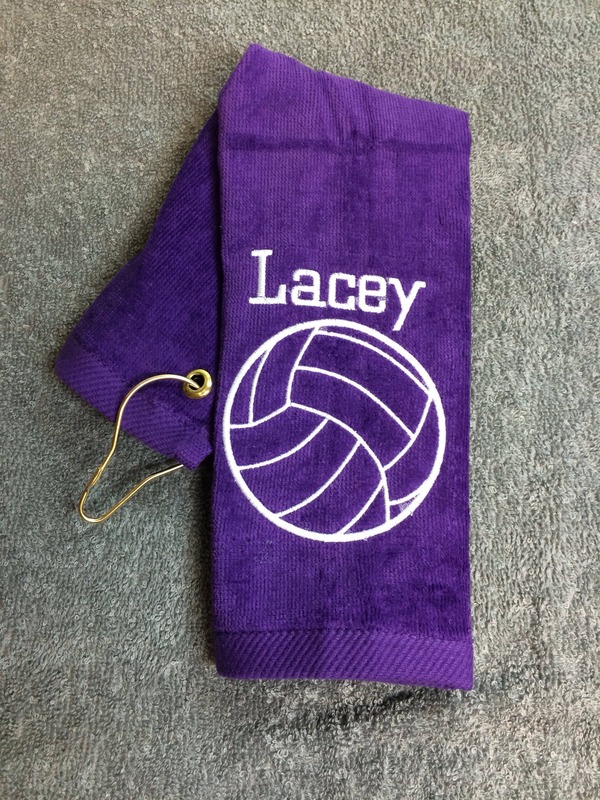 Volleyball, Personalized, volleyball towel, Custom Embroidery, volleyball gift, sport towels, teen gift, girl gift, gift for her, Custom Personalized Volleyball Towel. 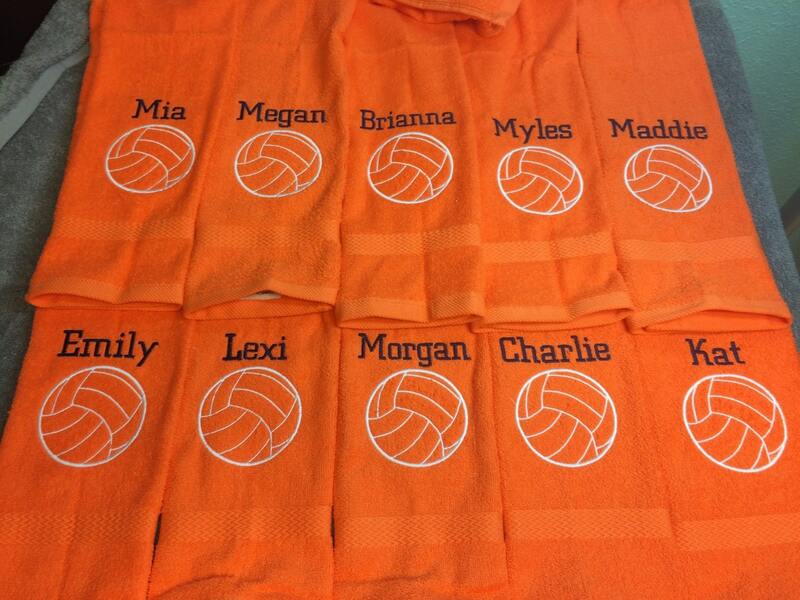 This will be perfect for a team. 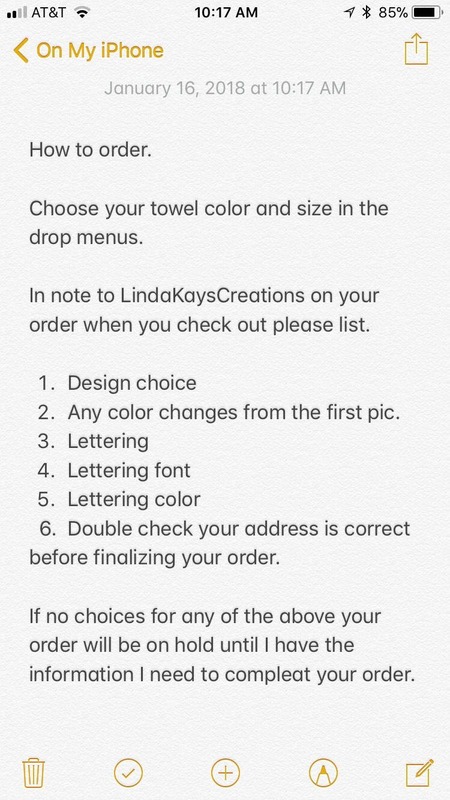 Towels are 16 X 26 or 11 x 17. choose in drop menu. 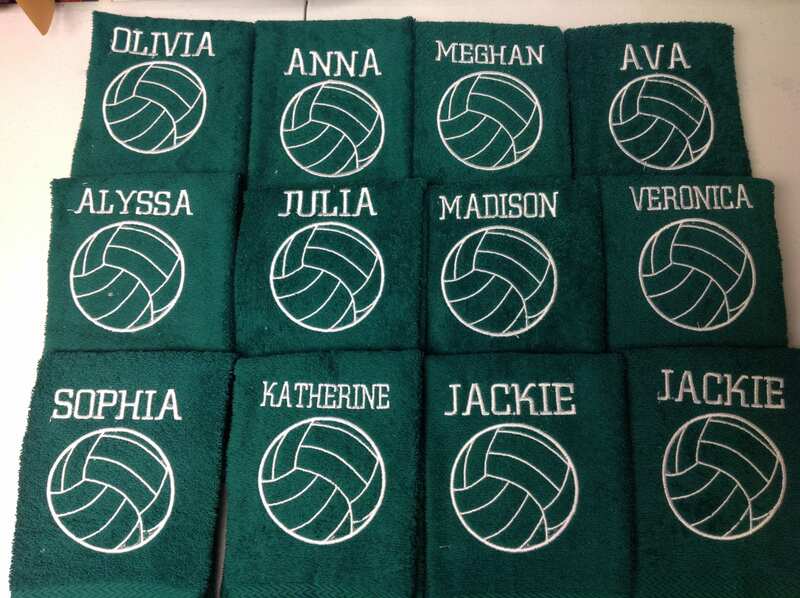 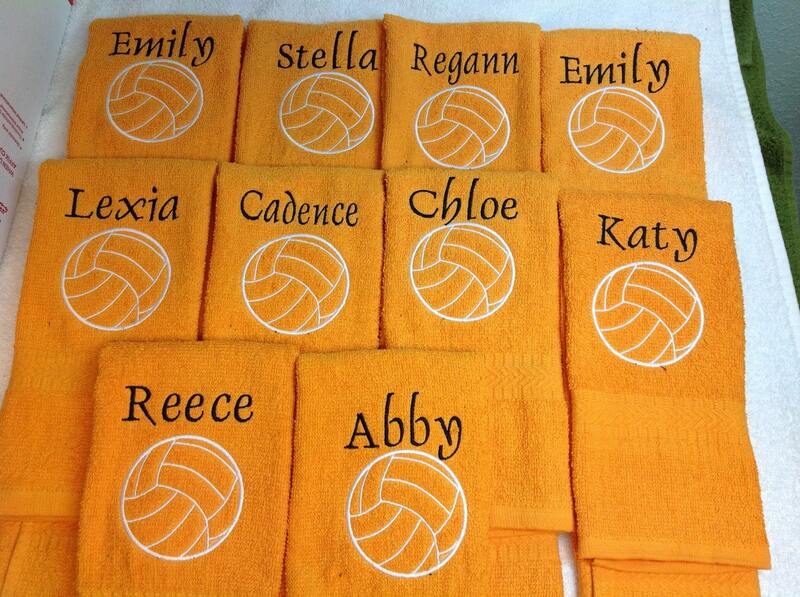 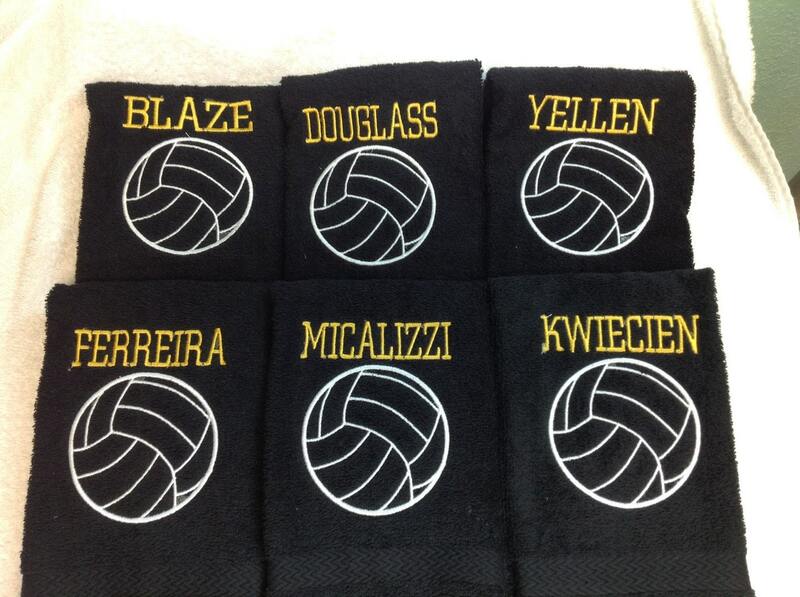 This listing is for 1 volleyball towel please list names, numbers and team name and colors. 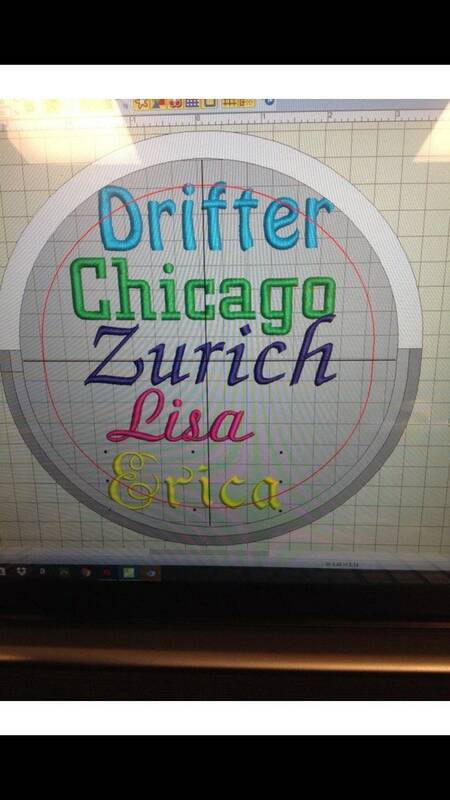 I have all colors in stock at all times. 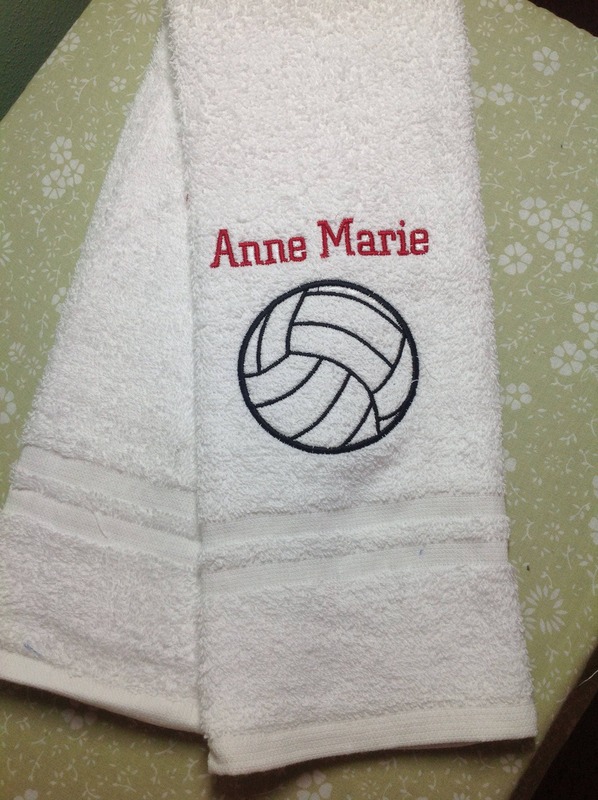 Very well made, quick ship too! 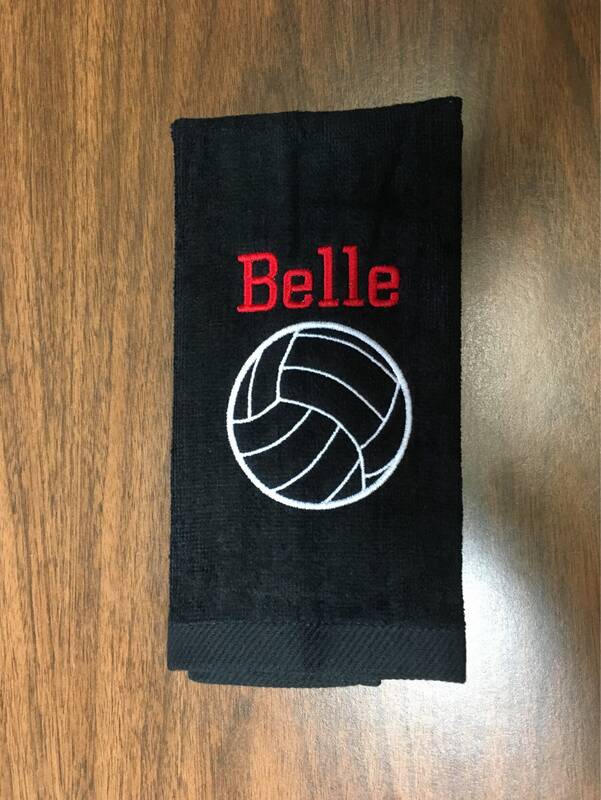 Beautiful embroidery - my daughter loved it.